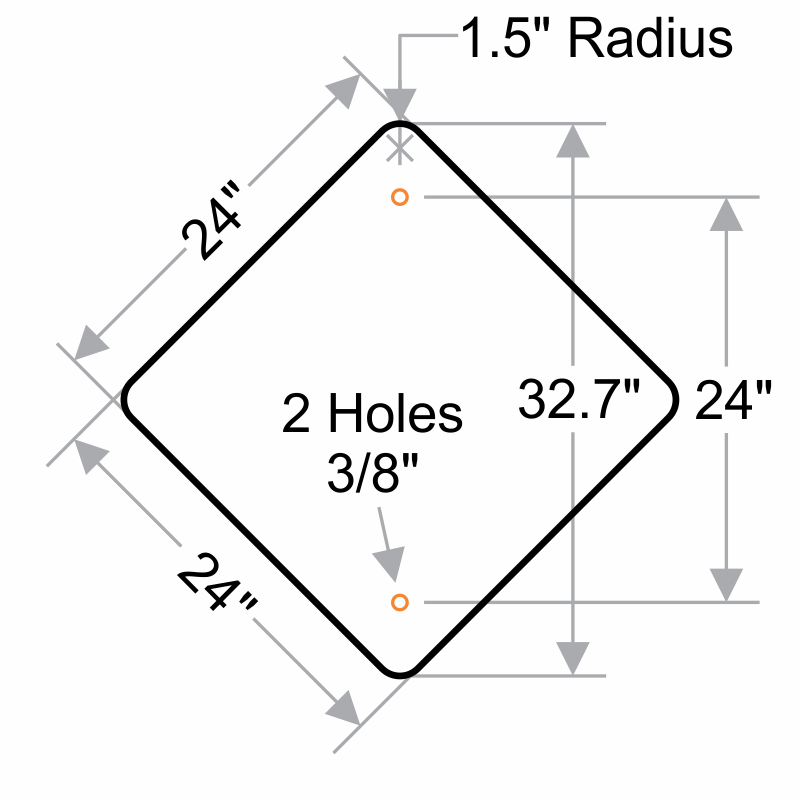 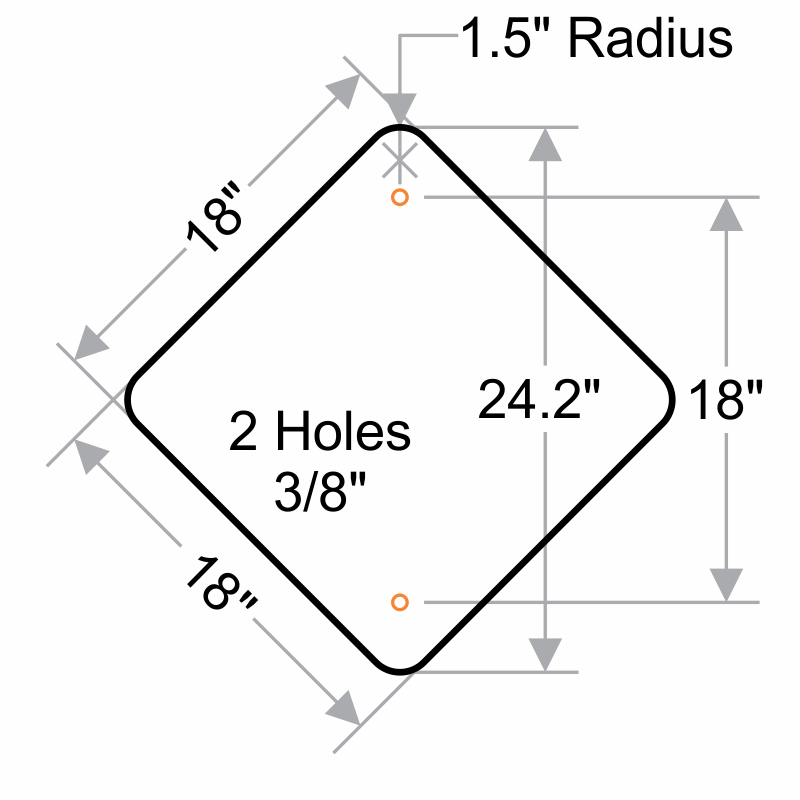 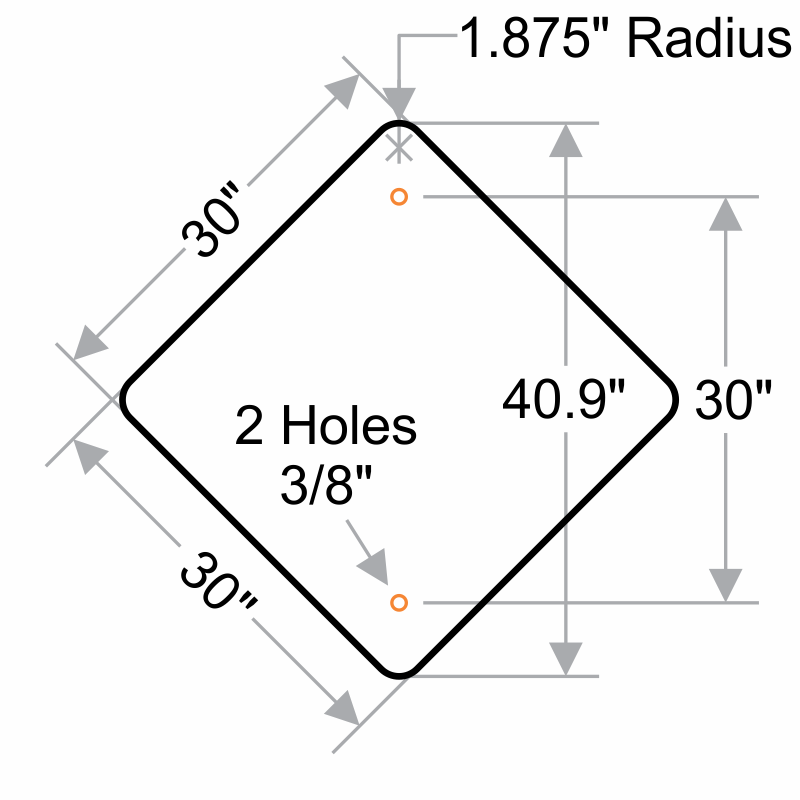 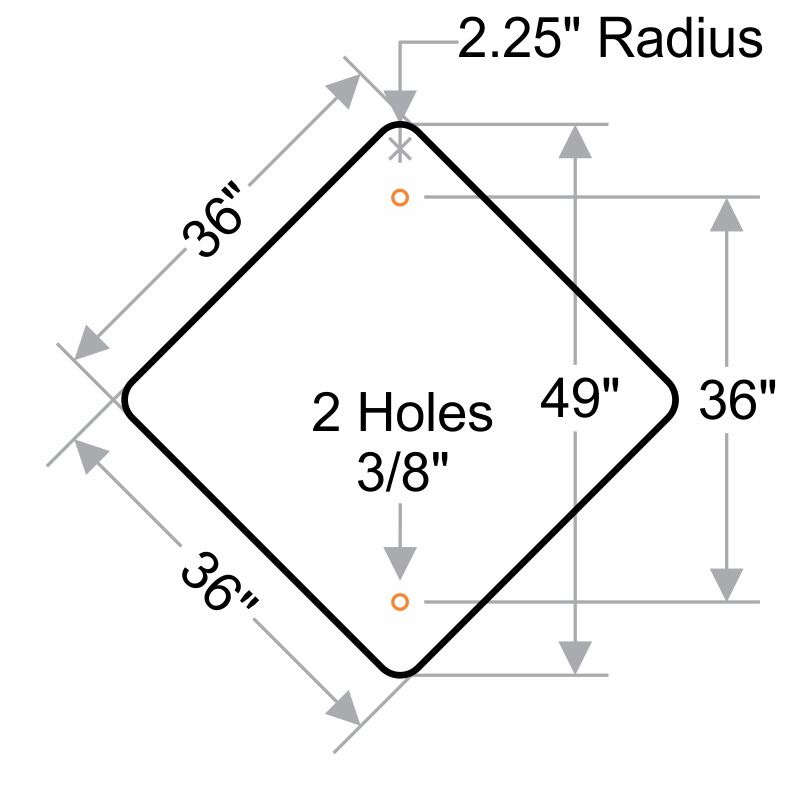 Standard: 01 If a post-mounted W11-1, W11-11, W11-15, or W11-15a sign is placed at the location of the crossing point where golf carts, pedestrians, bicyclists, or other shared-use path users might be crossing the roadway, a diagonal downward pointing arrow (W16-7P) plaque shall be mounted below the sign. 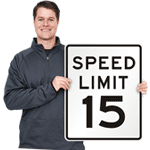 If the W11-1, W11-11, W11-15, or W11-15a sign is mounted overhead, the W16-7P supplemental plaque shall not be used. 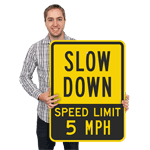 11 The Emergency Vehicle (W11-8) sign with the EMERGENCY SIGNAL AHEAD (W11-12P) supplemental plaque shall be placed in advance of all emergency-vehicle traffic control signals (see Chapter 4G). 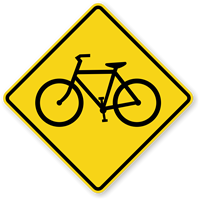 Classic bicycle symbol can be used anywhere that is frequented by bicyclists. 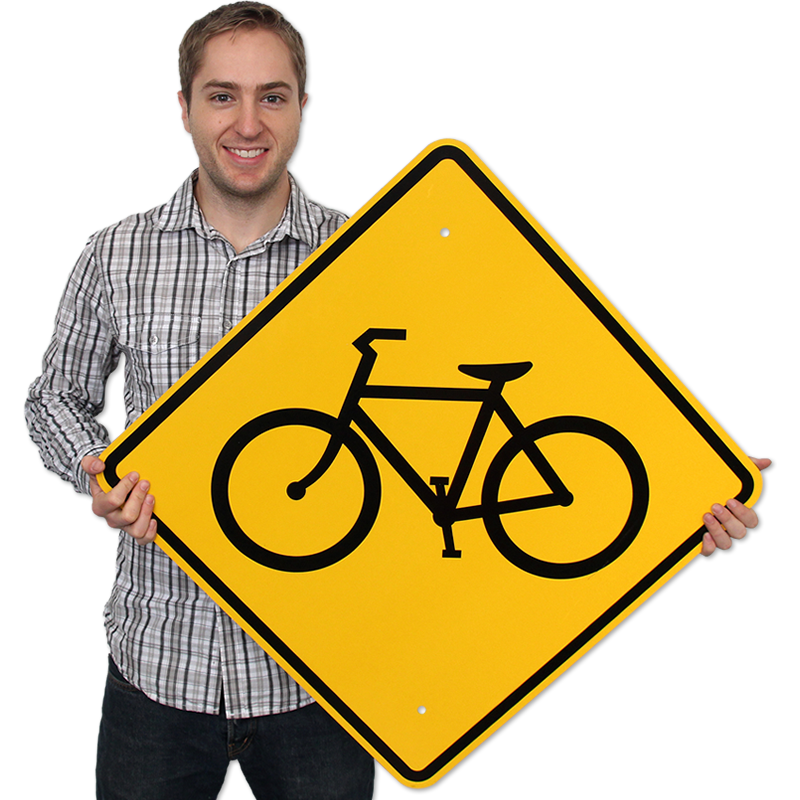 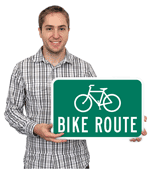 Notify drivers and pedestrians of bikers with a sign. 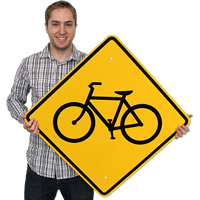 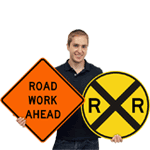 Also use this sign for marking bike routes. 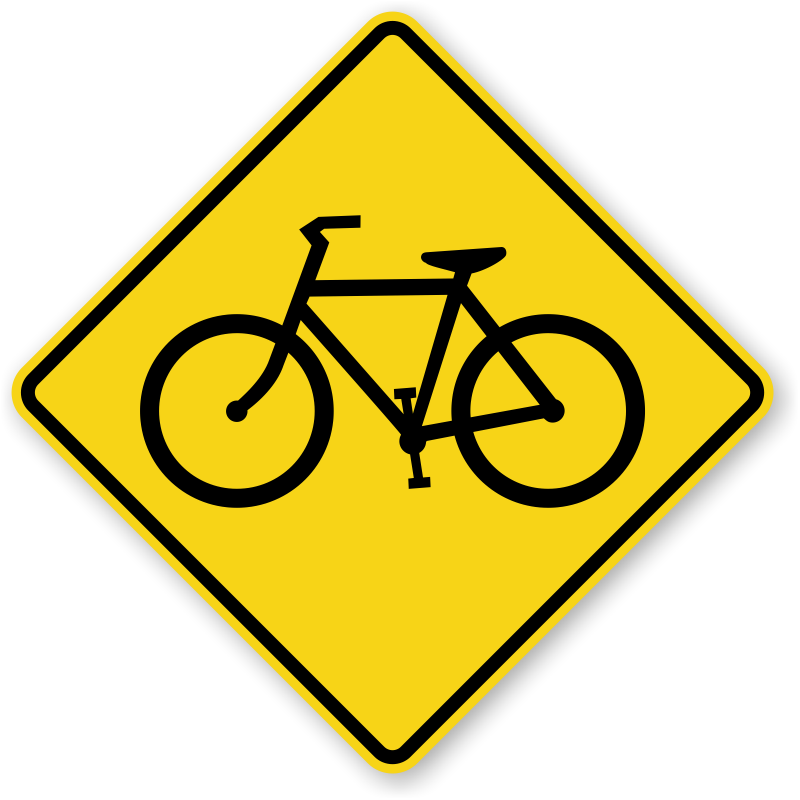 This sign is on the wall at the bottom of the stairs, where you can see it reflecting in even the dimmest of light. 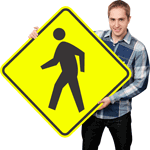 It's a perfect way to head down the stairs to the basement.